GCL Solar Panels coupled with a Sungrow Inverter. This is our entry level system. The system still comprises of a Tier 1 panel along with one of the leading Chinese inverter manufacturers. 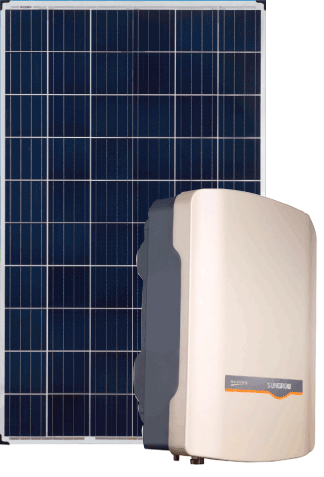 The panels have a 25 year performance guarantee along with a 10 year workmanship warranty, the inverter has a standard 5 year warranty with option of WIFI connectivity. Both the inverter manufacturer and panel manufacturer have offices here in Australia which will give you peace of mind your warranty is held on Australian soil. If you are looking at a system that is not going to break the bank but is still going to offer good solar generation then this would be a good option for you. We can tailor any package to suit your needs so if this particular package is not what you are looking for we can propose using European inverters or hybrid inverters, just simply follow the link and we can provide you with more information.